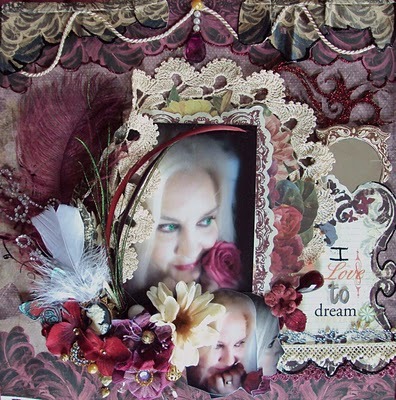 Mandy used the Swirlydoo's March Kit "Cabaret". 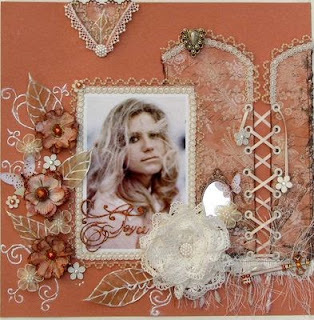 Her gorgeous layering of papers and embellishments are exactly what the Swirly girls love. Such an inspiration! Thank you so much Mandy, for sharing your talent with us! If you'd like to pick up a Cabaret kit of your own, visit the Kits section of the Swirlydoos store. OMGoodness, is it just me or has this week been a drag? I am so happy to be within spittin' distance of Saturday so that I can roll around in all of the glorious yummy-ness that is the Swirlydoos April kit. Reveal day for the April kit is closer than you think and you are in for a serious treat. Quick update....we have raised enough money to buy 2...that's right 2 iPads for Autism!!!! YAY! We are close to buying our 3rd and just need a little more and we'll be there. If you can find a way, we would really appreciate your support and donation. OK, so what has been going on with our savages this week? Well, our very own Irene Tan posted her first video tutorial! Can you believe it? I couldn't. I mean, this is Irene we are talking about here. As you can imagine the video is smokin' hot and I loooooooove her flowers. Hop on over to our tutorials section and check out her video. You can click HERE to go see it. Our SGC (Swirly Girl Challenges) for this month are winding down and you really have to see the entries. I may be bias, but I doubt it, because we really have the most creative bunch of artists there are. Really, it's true. I wouldn't lie to you; cross my heart. Our on-going monthly challenges are winding down as well. Our monthly Kit Sketch Challenge and Angelica's Butterfly challenge have produced some of the most outstanding entries I've seen around. It seems like month after month our savages bring it! They step up to the plate and then kick it up a notch and top themselves every month. Good stuff!!! Our monthly Round Robin challenge IS the best Round Robin to be found anywhere. Every one pushes their own level of creativity and raises the bar for the next person on their team. If you are looking to grow in your craft this is without a doubt the place to be. Sign-ups are going on right now for April so head on over and sign up. We now have a new and separate section dedicated to the Anatomy of a Page. 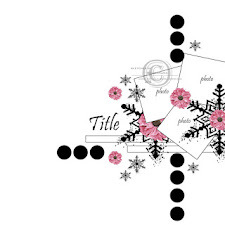 Each month a member of the Design Team with take you through their creative process. Our lay out of the week is by our own Mandy H. All I can say is wow. Mandy is one incredibly talented artist. You HAVE to check out her page. Congratulations Mandy!!! Our scrapbook question of the week was posted by one of our savages. Here is her question: Do you start with the picture or the paper? Head on over and let us know what you do. 2nd Annual Swirly Girls' Challenge - This is where YOU get to host a challenge! Our savage members all signed up for a month and then we set two of them loose each month on the rest of our unsuspecting subscribers to host a challenge of their own design! Everyone waits in anticipation to see what the challenge will be. This month our SGC challenges are Funny Faces and Strictly Homemade. Click HERE to check out these challenges for more details as well as the other regular monthly challenges that are being held. We have 3, that's right...3 NEW tutorials posted this month. They are: Swirly Hibiscus Flowers, Making your own Background Paper, and Emerging Color Stamping Technique. Click HERE to go to our Tips, Tricks and Techniques forum. Did you know that we have a Photography and Photoshop forum complete with tutorials? Well, we do because Swirly Girls ROCK! Check it out. Click HERE. 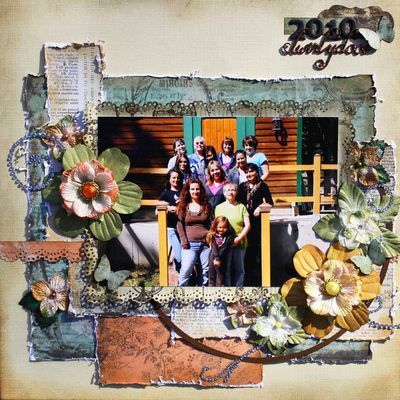 Our Layout of the Week is nothing short of amazing and was created by our very own Shelly M. Click HERE to see her amazing creation. Scrapbook Question of the Week: How do you store your photographs? Is there a really good way to store them? Click HERE to let us know. I am lighting a Mojo candle for all of you and hoping that you have a fabulously inspiring and creative weekend!!! Swirlydoos is going to attempt to raise the necessary funds to deliver as many Apple iPads to children with Autism as we possibly can, but we can't do it alone! Click the iPad for more information! 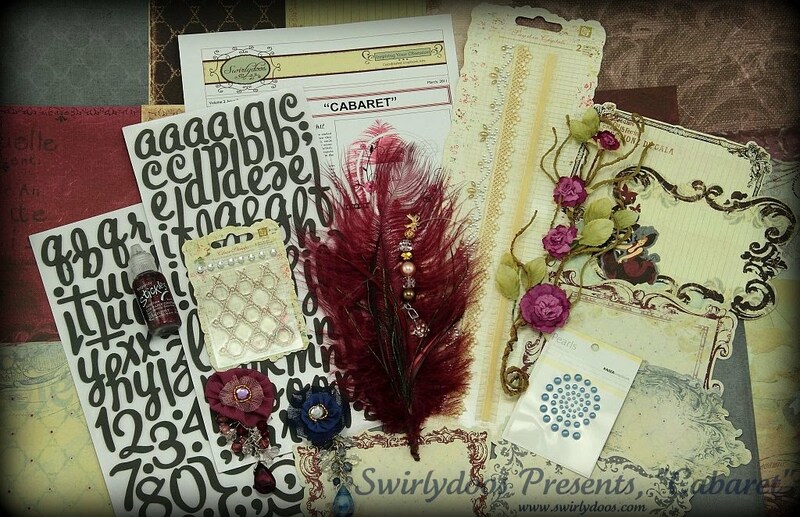 March Swirlydoos kit "CABARET" and Reveal Day!! The gorgeous, rich, and luxurious papers in Swirlydoos March collection, "Cabaret" are brand spankin' new from Prima! We've accompanied these stunning papers with rich, and luxurious embellishments ranging from authentic Ostrich feathers to beautiful handmade crystal embellishments. This collection gives us such a welcome and refreshing dip into the deep jewel tones of the color palate. We've also assembled a fine collection of add on kits that compliment our main kit beautifully. We sincerely hope you will enjoy this lovely collection that we have prepared for you. And to see what the Amazing Design Team has done, head on over to the online GALLERY. You also get extra freebies like images of coordinating butterflies, leaves and vines to down load and use as you please. Just go to the Tips Tricks and Techniques section and look around. You will be amazed at what you find!! We are revamping our Tutorial section so that it will be easy to download instructions and print out or save for future reference. Look Out!!! New things are coming to Swirlydoos all of the time!! Dont forget to check out the Swirlydoos Store with new products being added all of the time. If you are a subscriber, most small store products can be added to your monthly kit and you wont have to pay the postage for an extra package being mailed out. Just shoot Krissy an email that you would like it shipped with the next kit. New Flower Tutorial" The Swirly Hibiscus." Head on over to Swirlydoos Tips Tricks and Techniques Section. You will find awesome tutorials and wonderful tricks to make your pages Unique and Special. Today, just before the reveal of the new March Kit, you will find a new tutorial to make your own Swirly Hibiscus Flowers. So head on over and take a look. 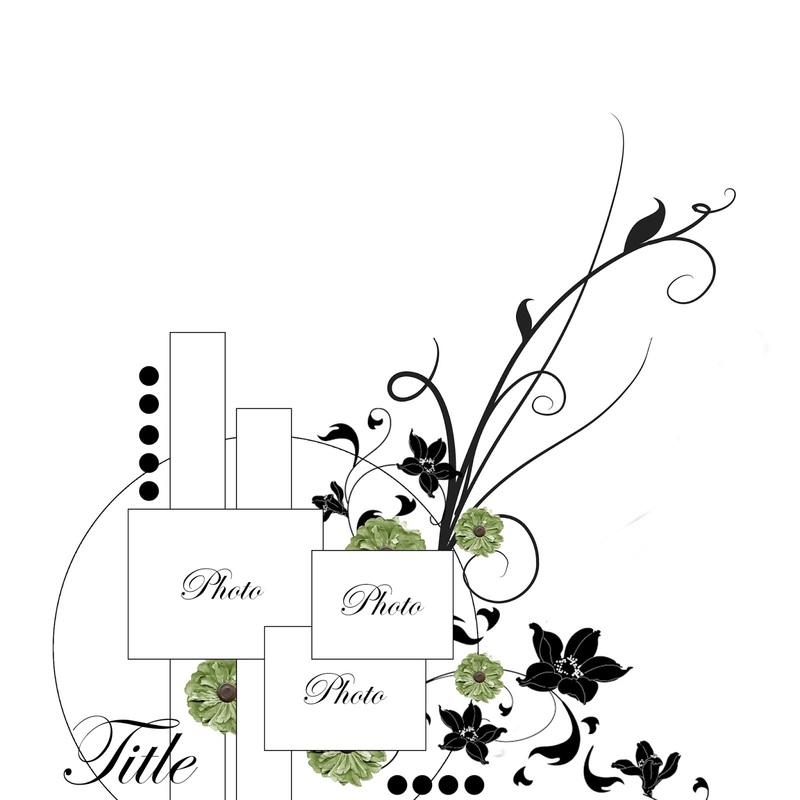 You may be inspired to start creating your own flowers to customize those pages!! We had a very close race this month for the "Thing Remembered" Butterfly challenge.